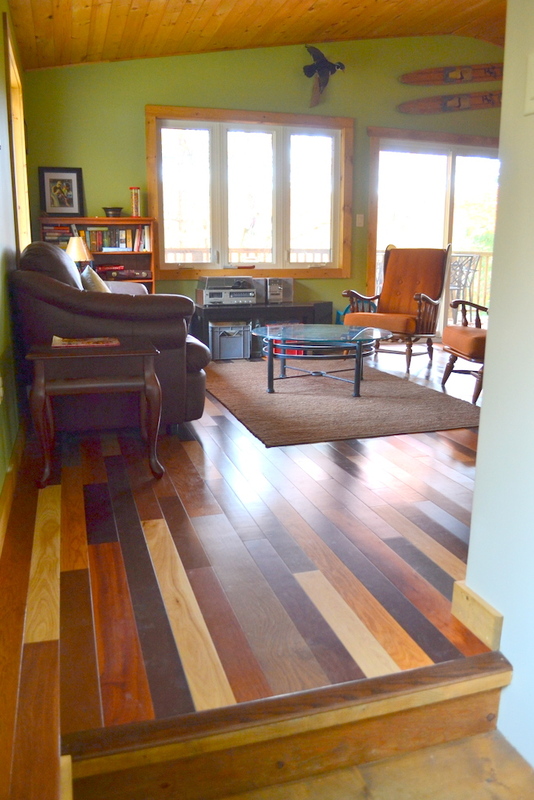 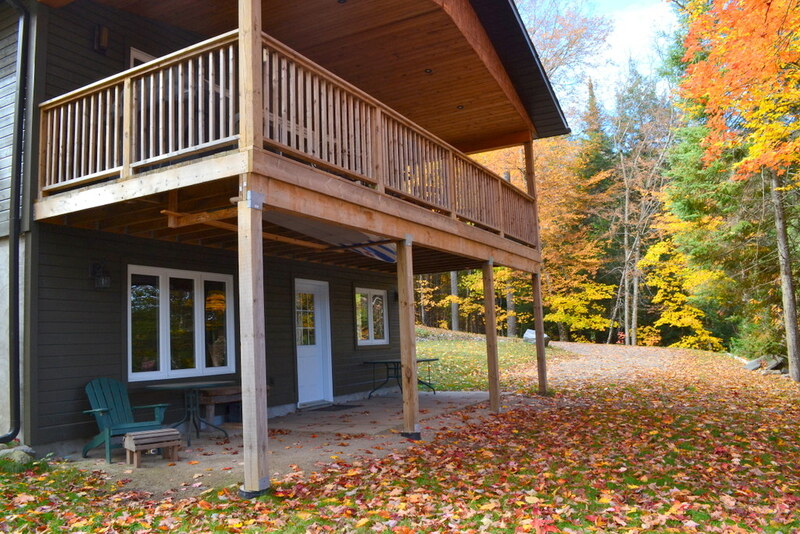 A wonderful family vacation awaits you at this newly built two-storey 1,800 sq. 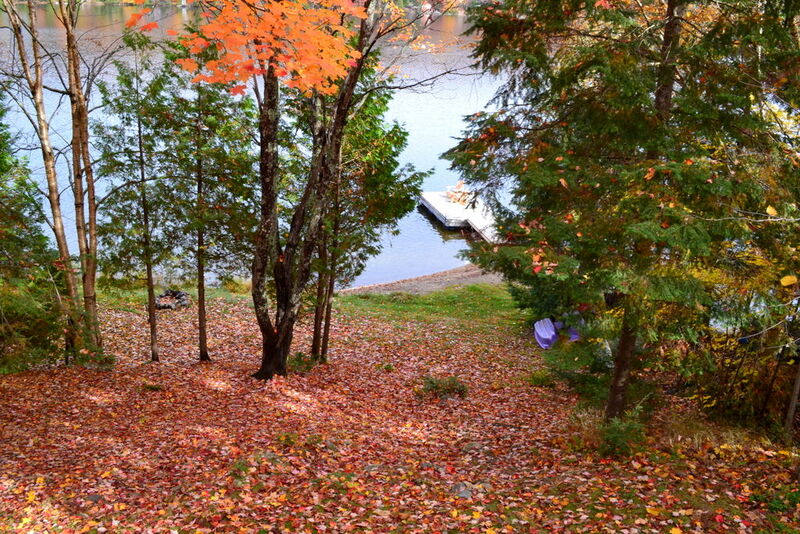 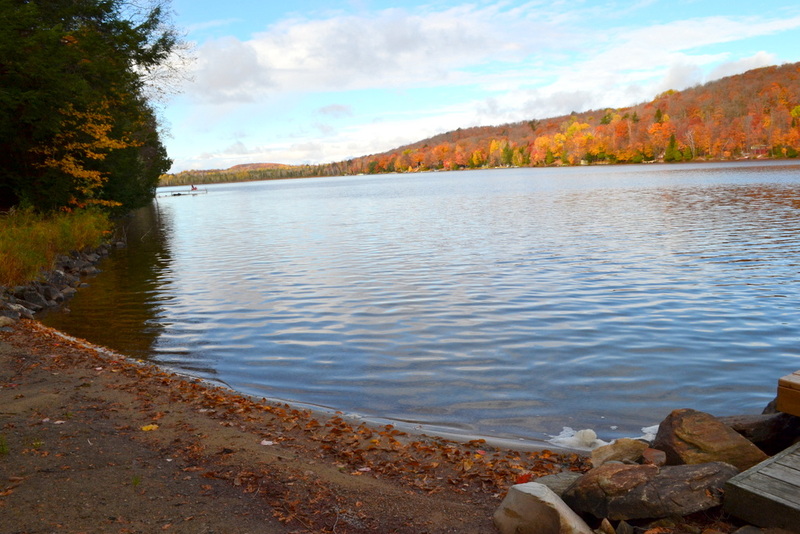 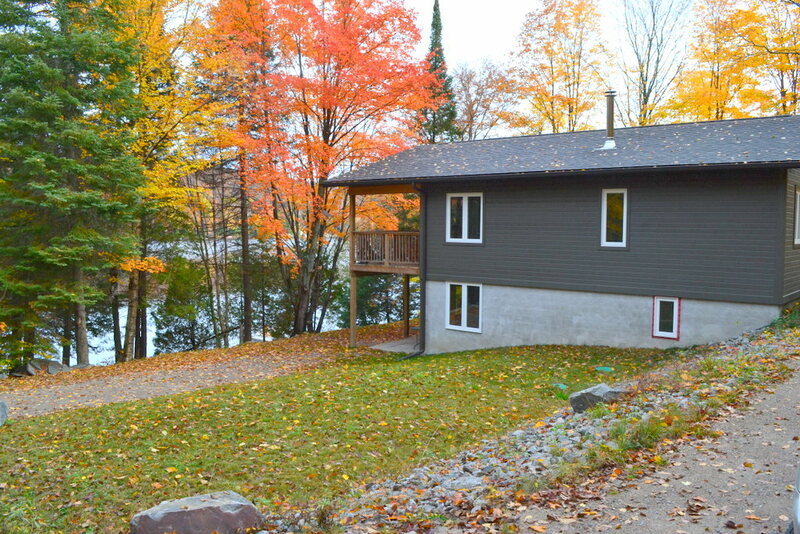 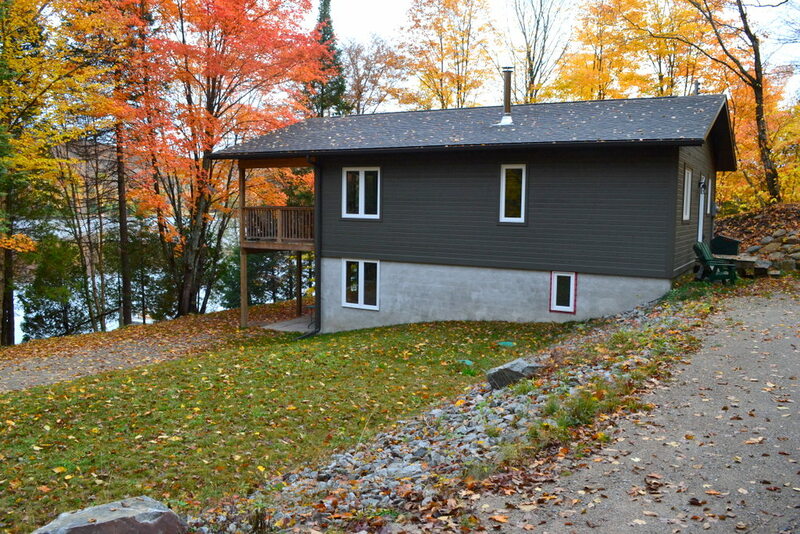 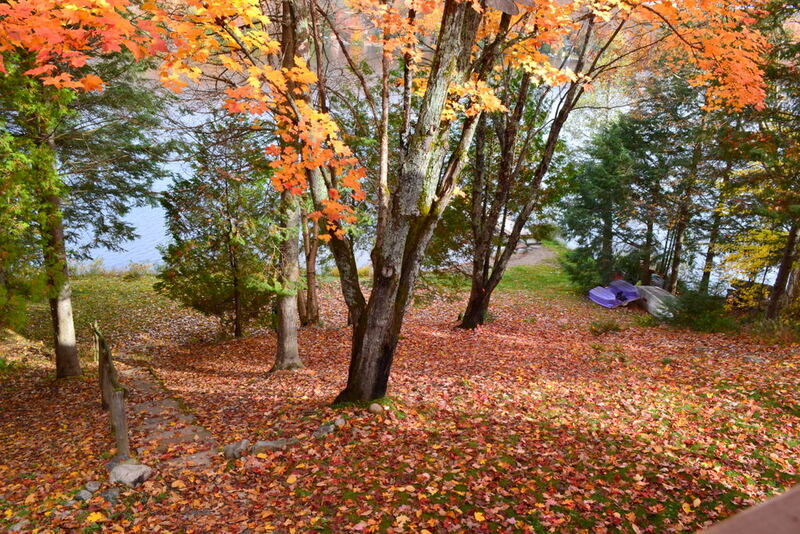 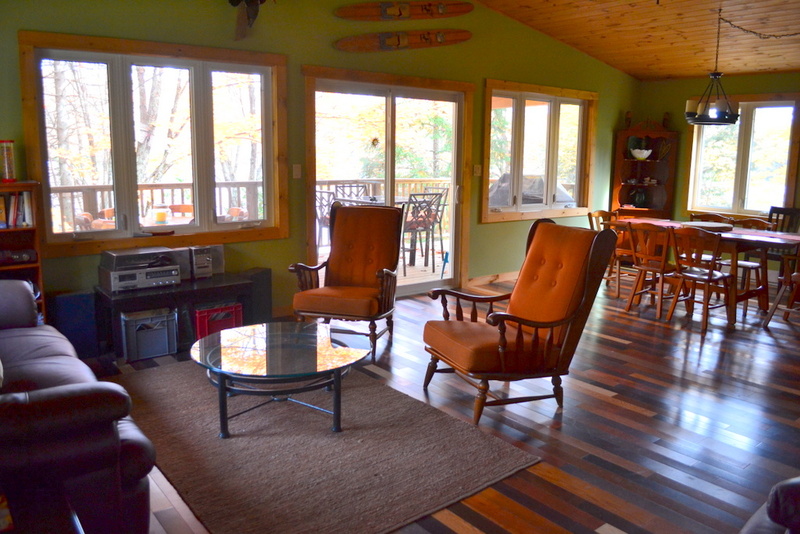 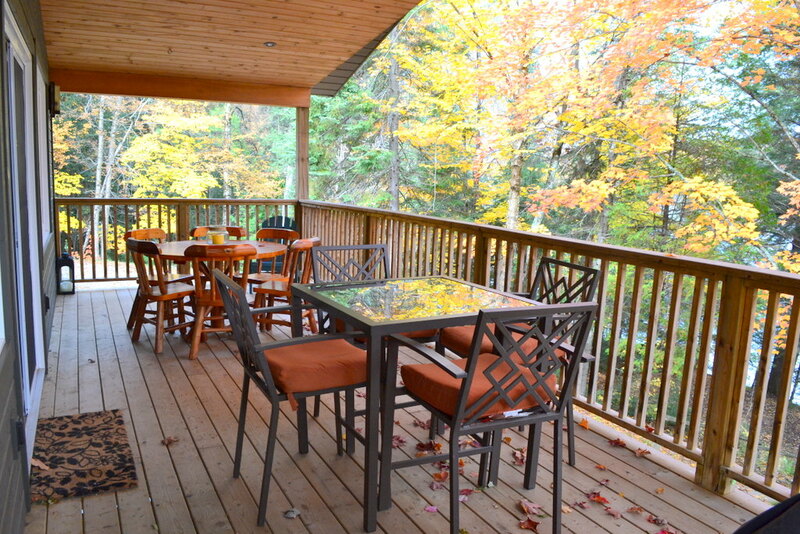 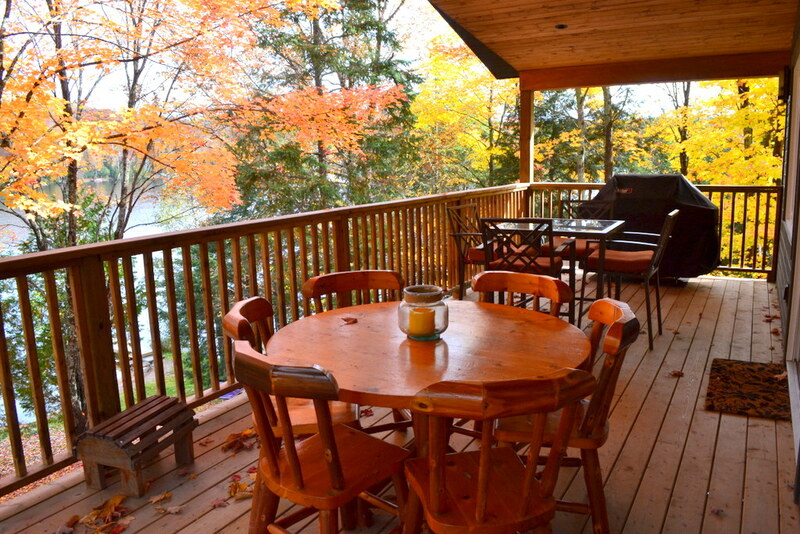 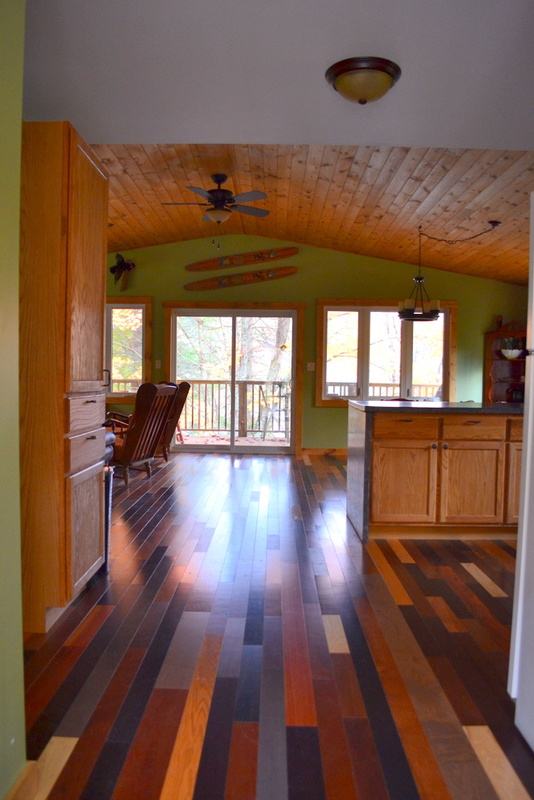 ft. cottage, tucked into a well-treed acre lot overlooking quiet Bay Lake. 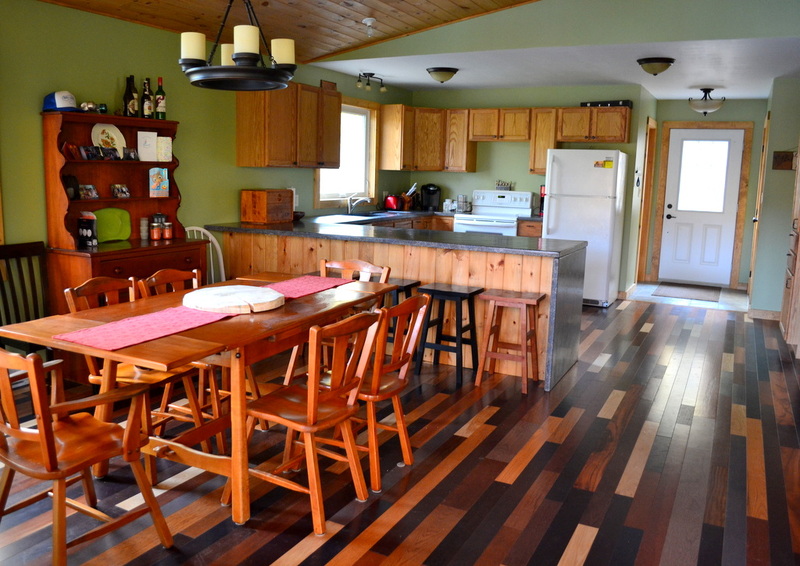 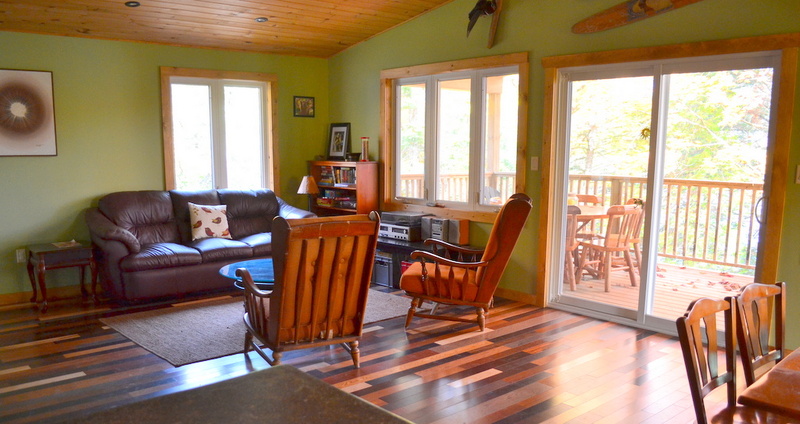 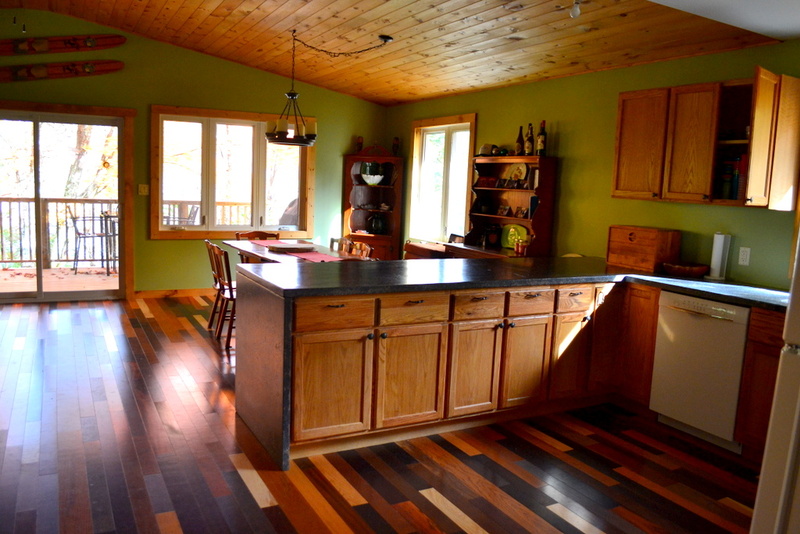 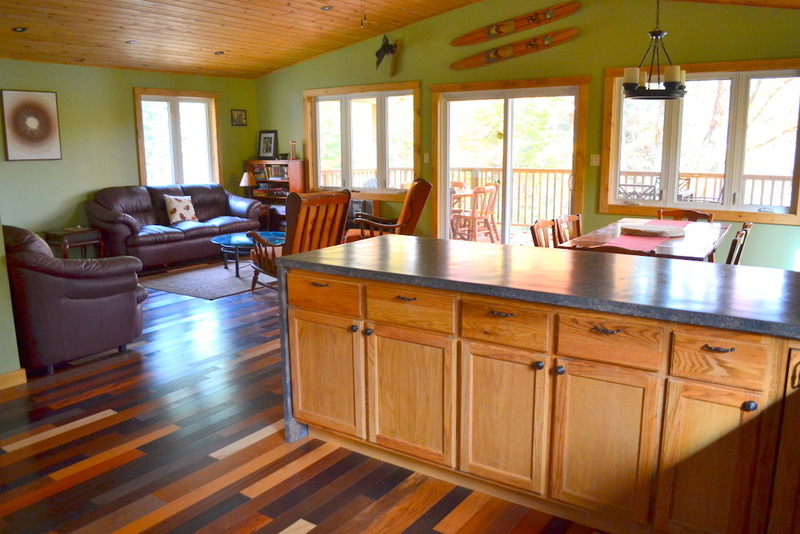 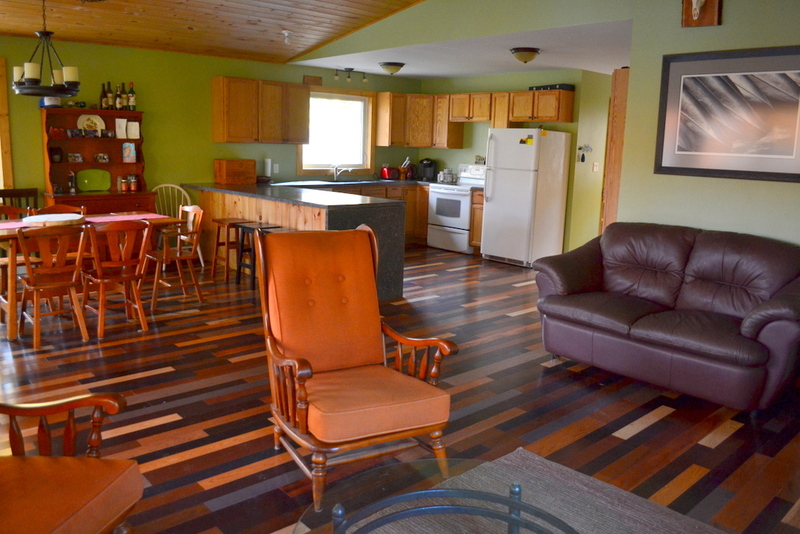 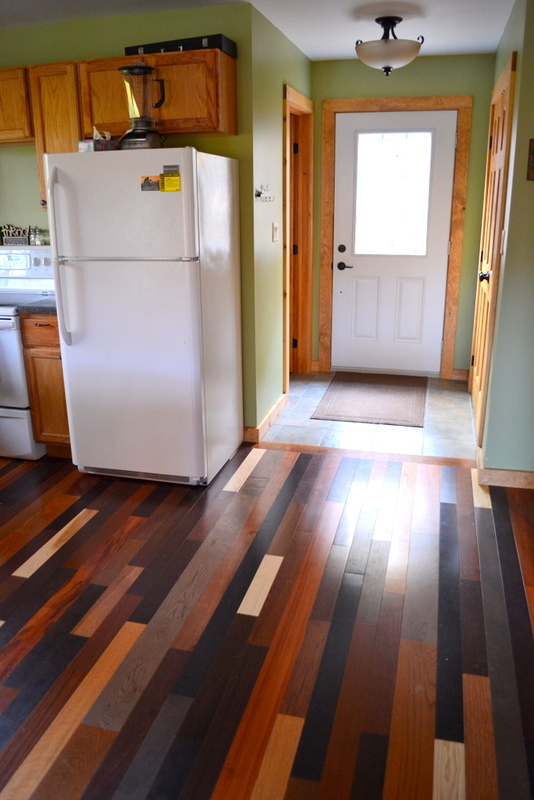 The main level open concept kitchen/dining/living area is bright and spacious with warm tri-coloured wood floors, vaulted pine ceilings and three walls of large picture windows allowing for peaceful tree-top views of the lake. 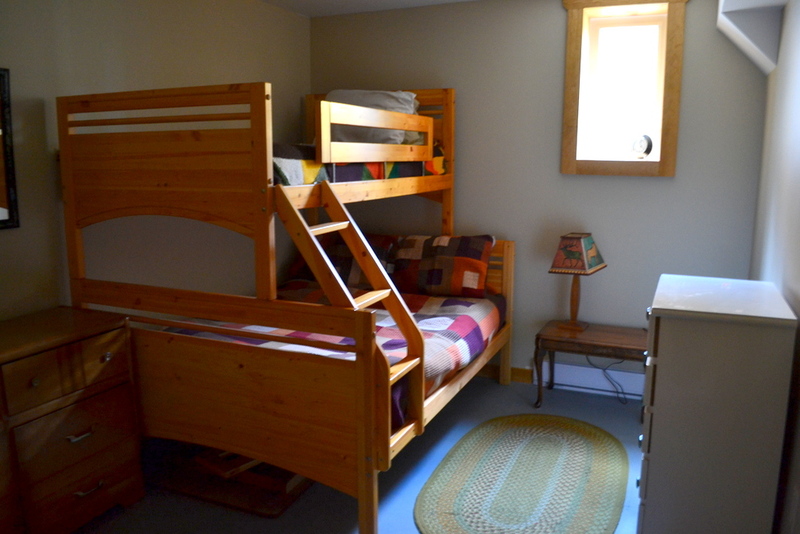 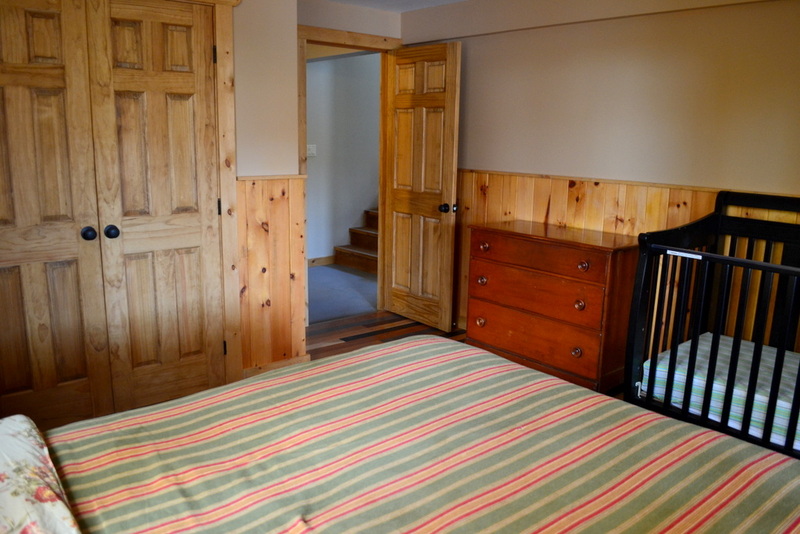 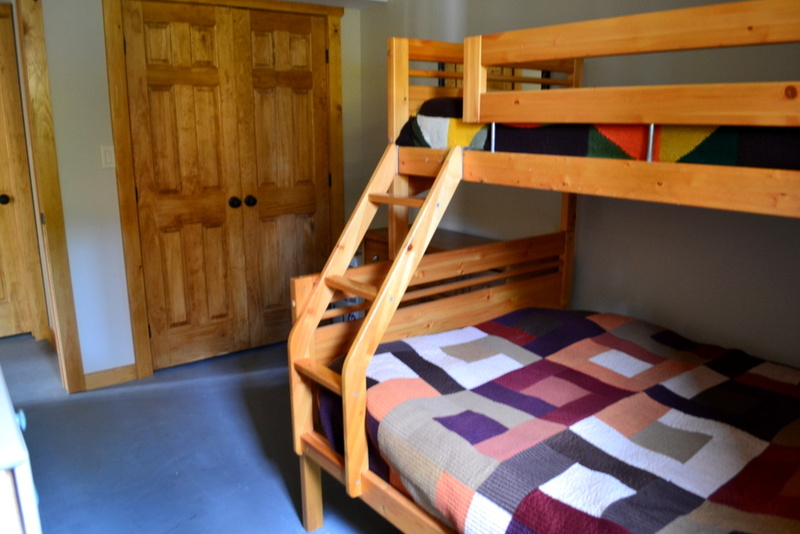 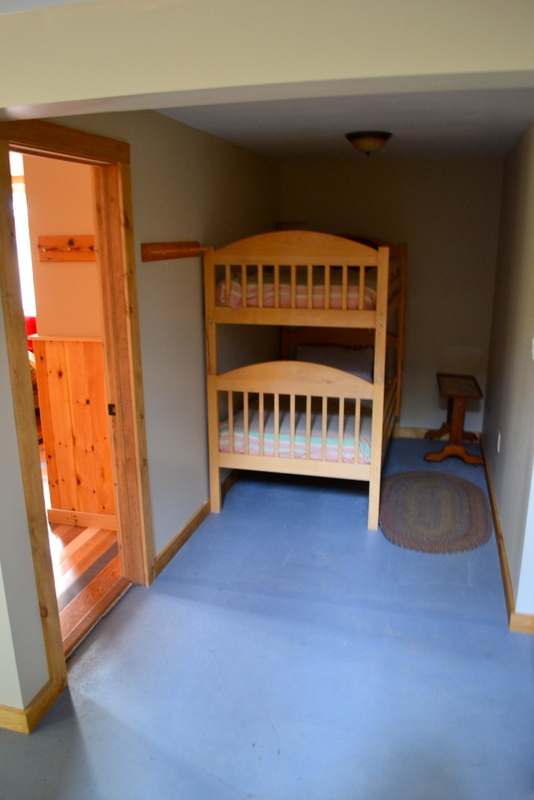 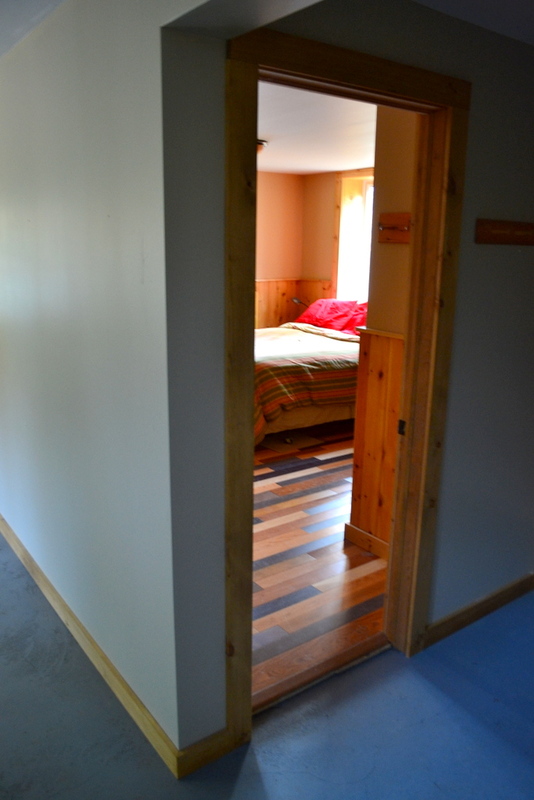 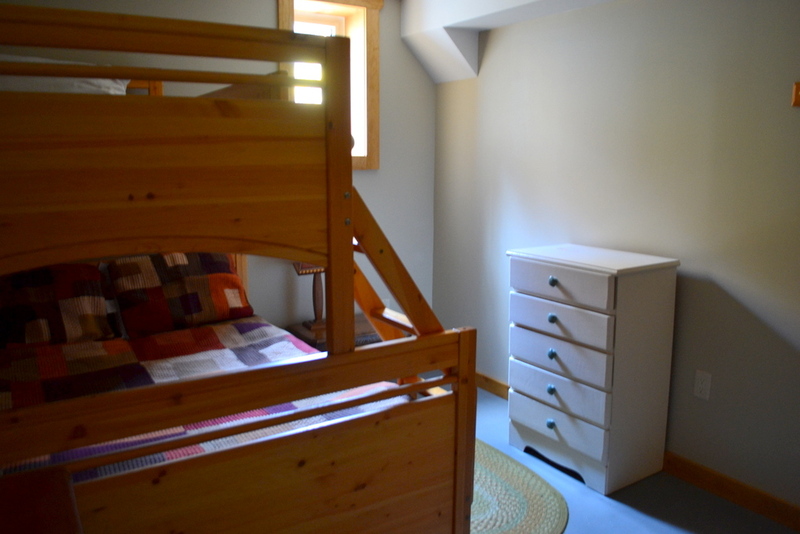 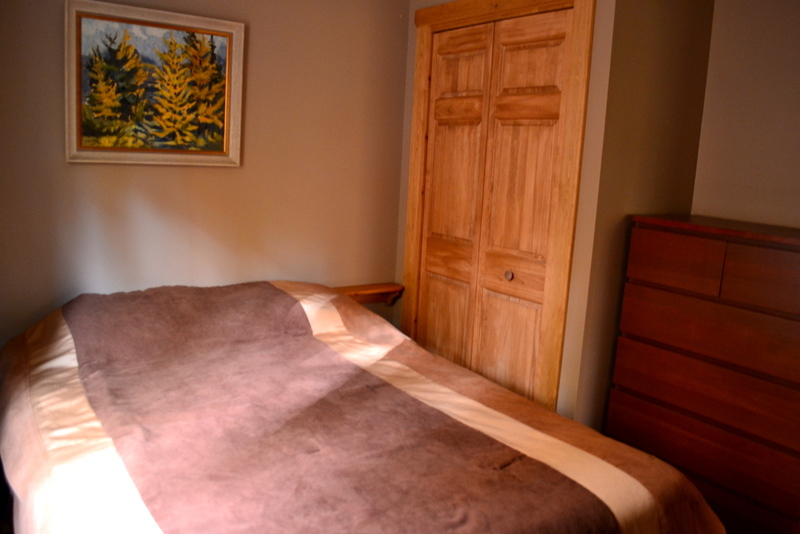 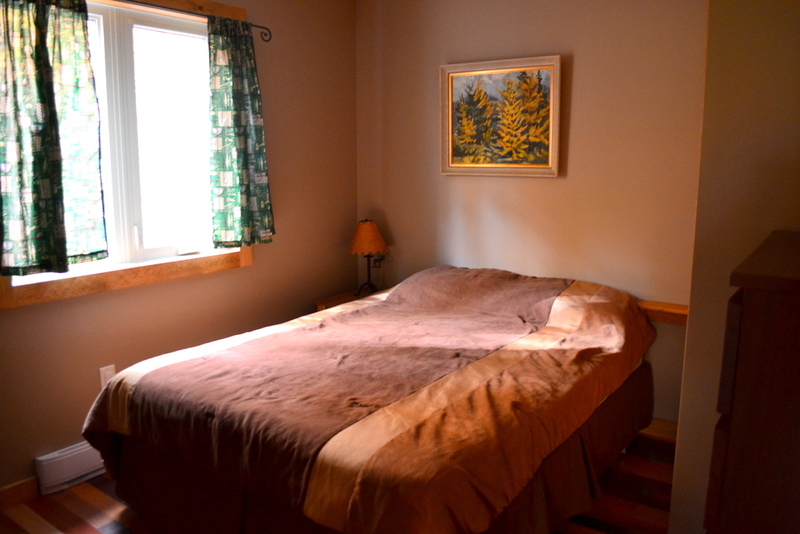 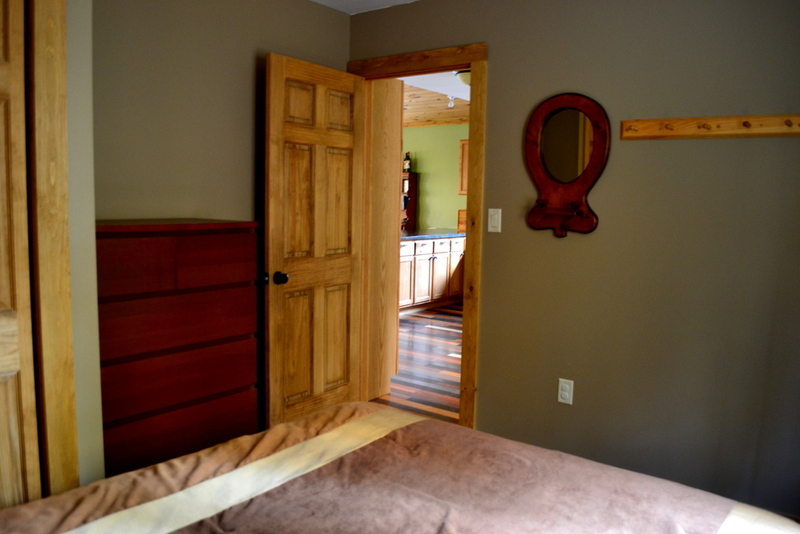 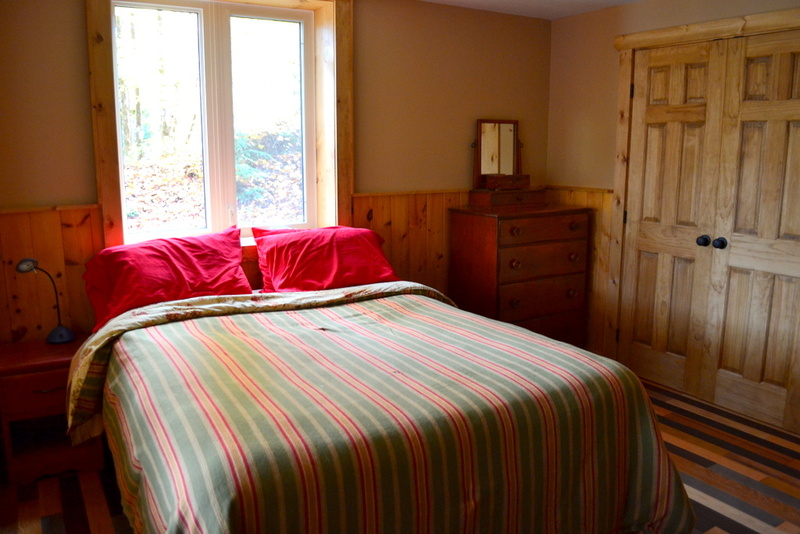 The cottage is great for a family or even two small families with two queen beds, two sets of bunk beds and even a crib. 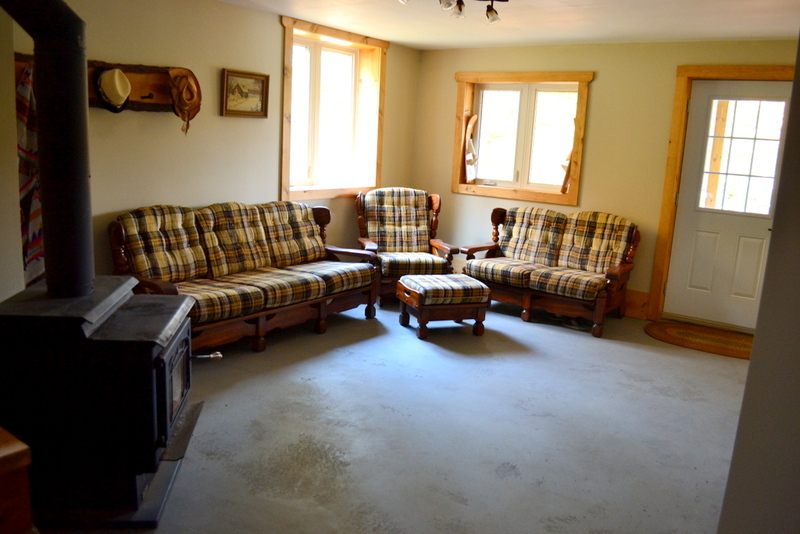 With plenty of seating capacity inside and out, both adults and children can eat, play and relax together or independently. 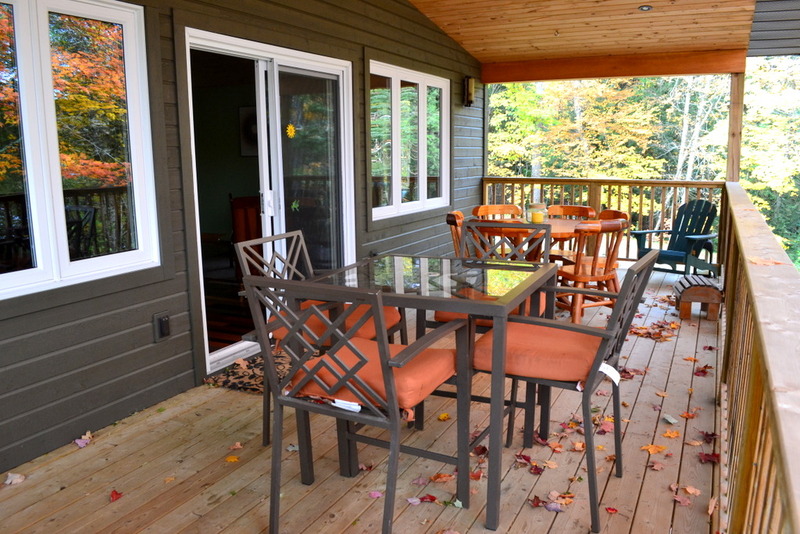 The large covered deck, overlooking the lake, is the perfect place to take shaded cover on hot humid days or to sit back and relax or dine during magical summer thunder storms. 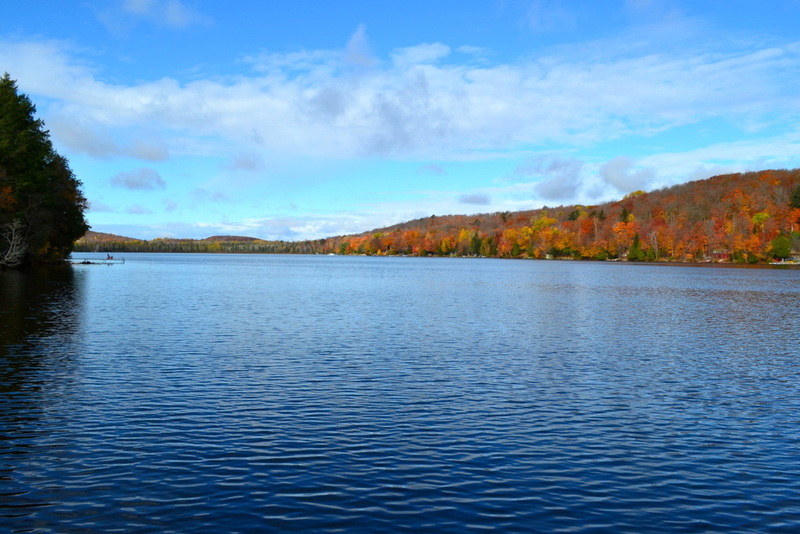 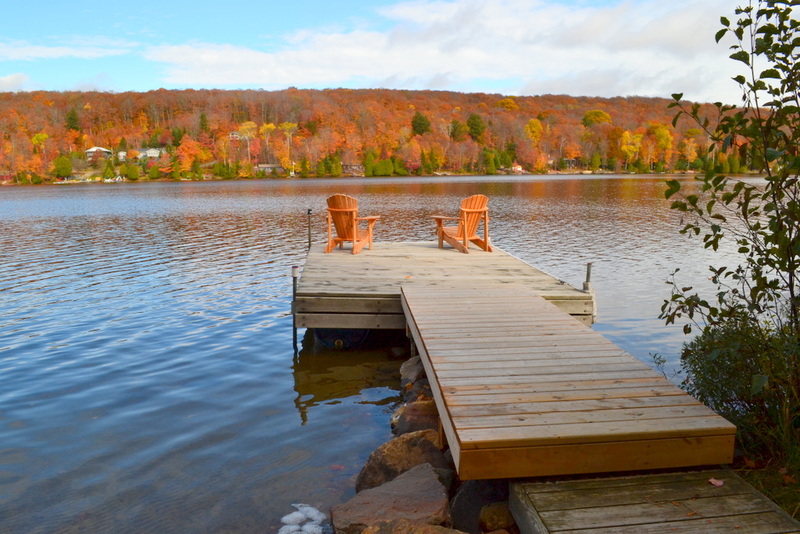 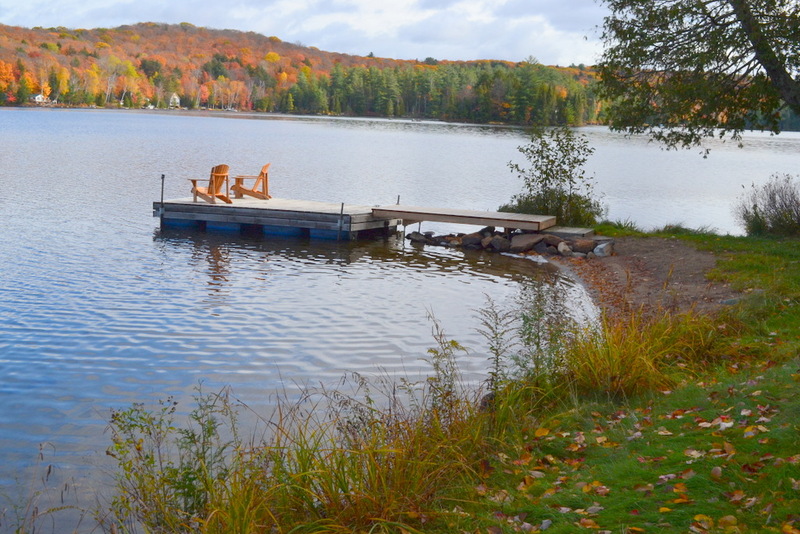 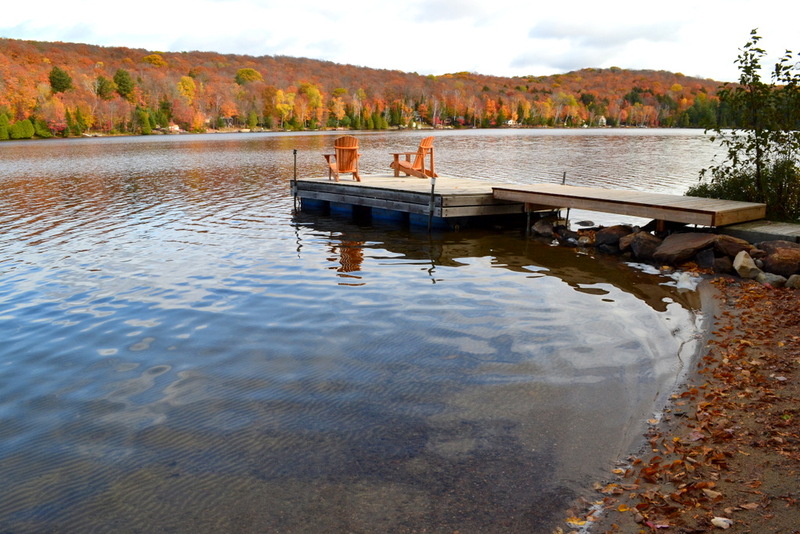 Start your mornings with coffee cup in hand down on the dock and be treated by the haunting call of the loons. 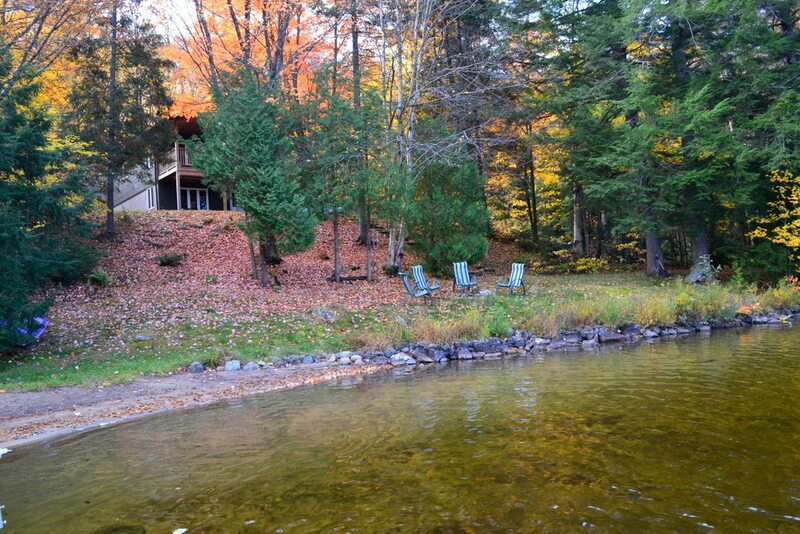 With 160 ft. of waterfront and a fabulous shallow hard-packed sand beach, this natural water playground beckons both young and old alike. 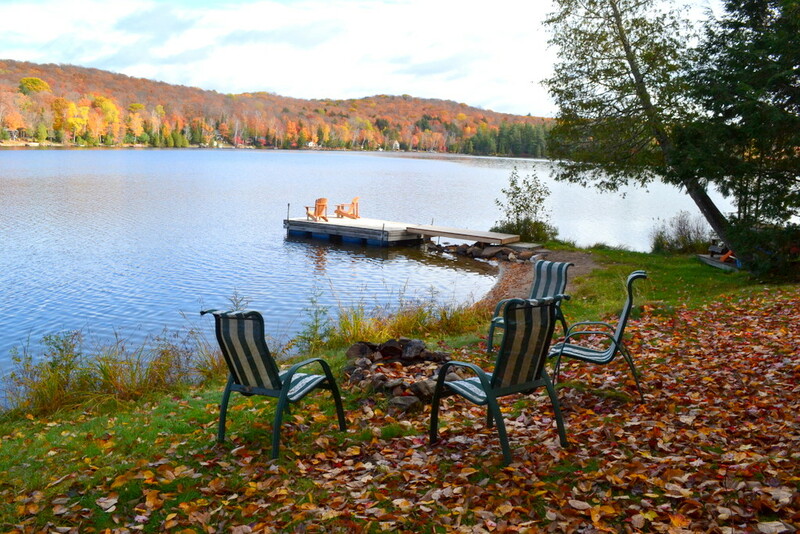 With a northwest exposure and a lakeside fire pit, you will want to end each and every night of your memorable stay roasting marshmallows while taking in the amazing sunsets! 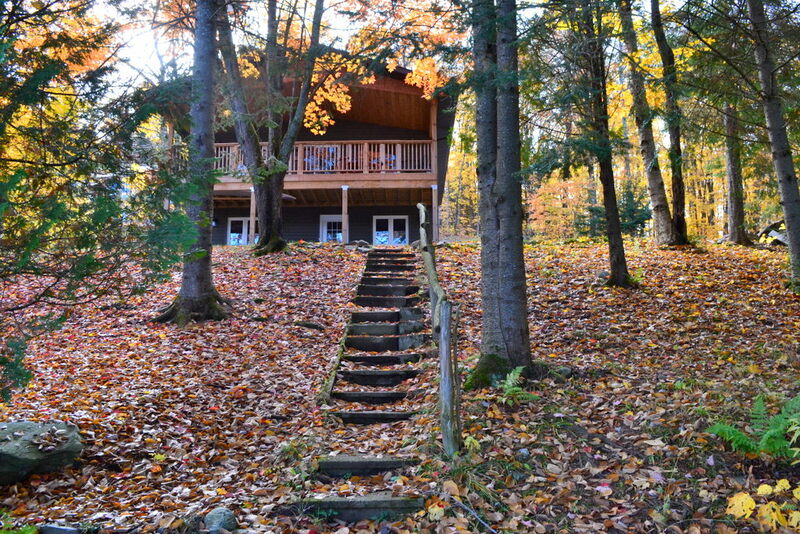 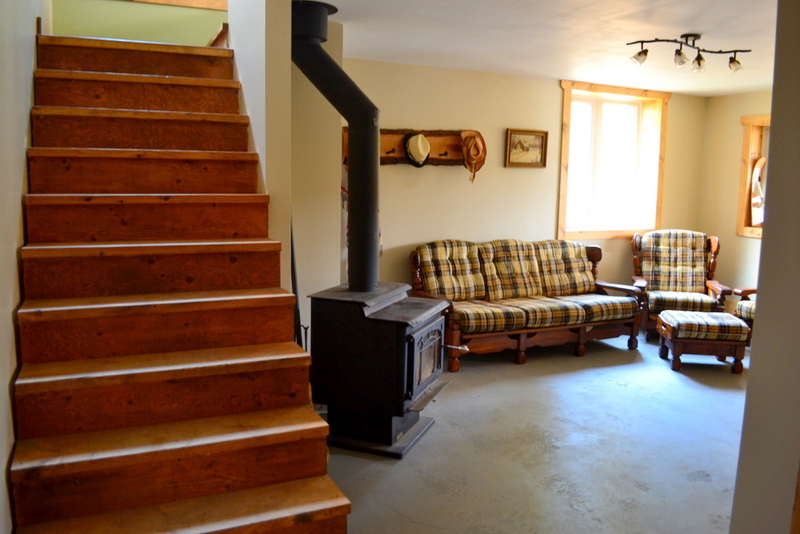 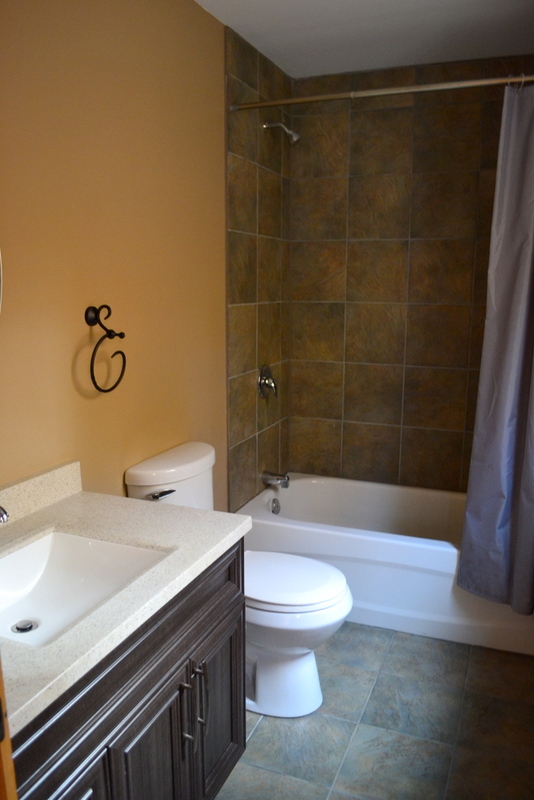 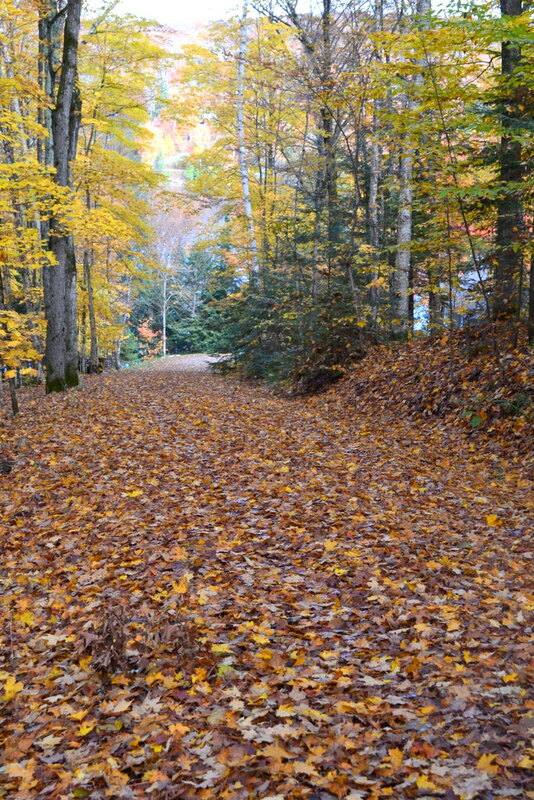 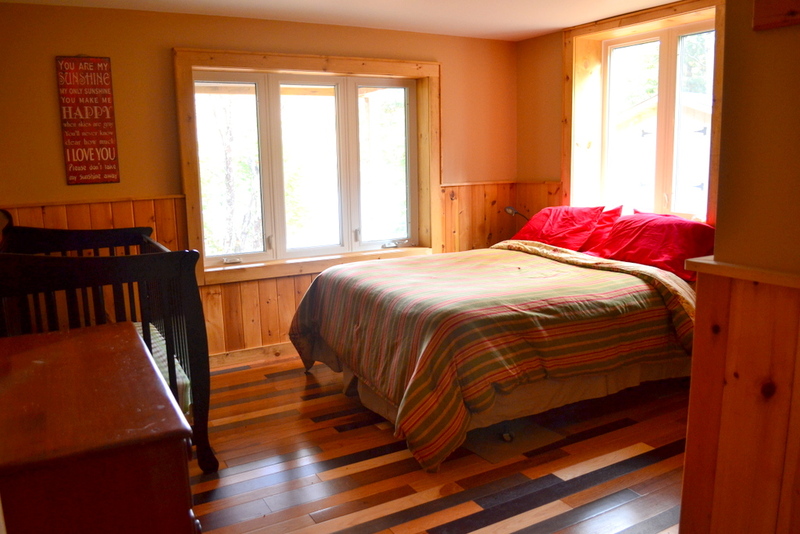 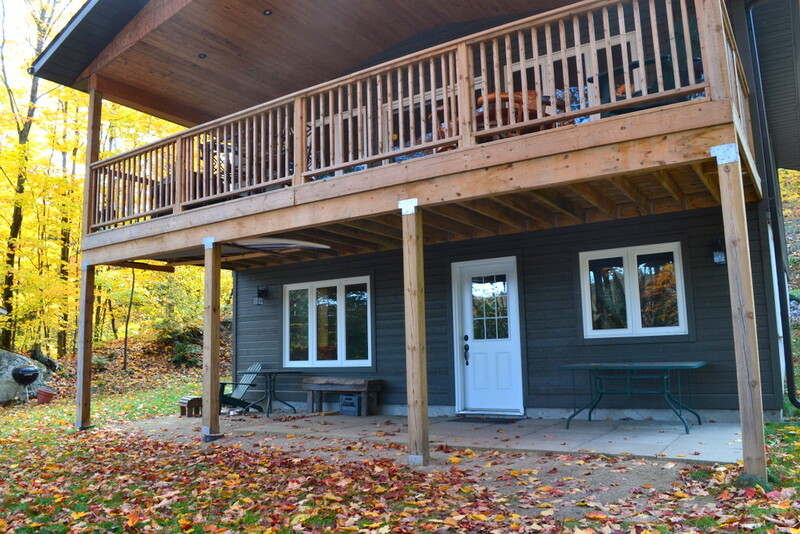 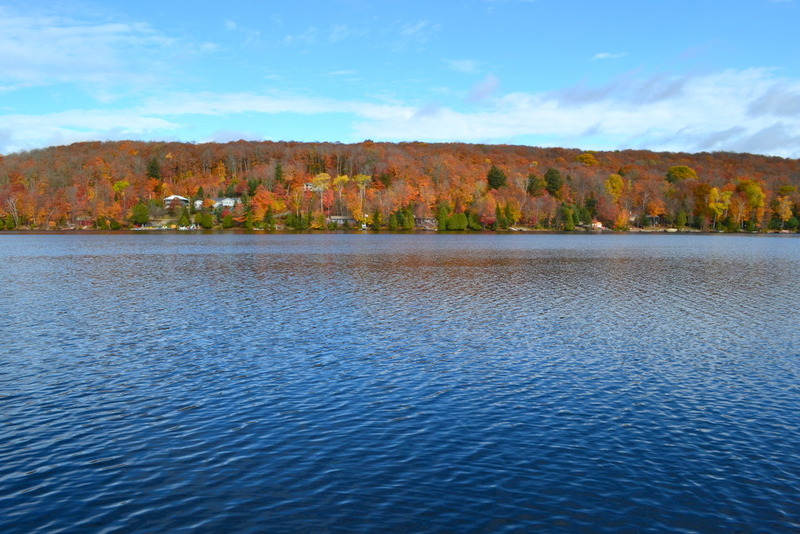 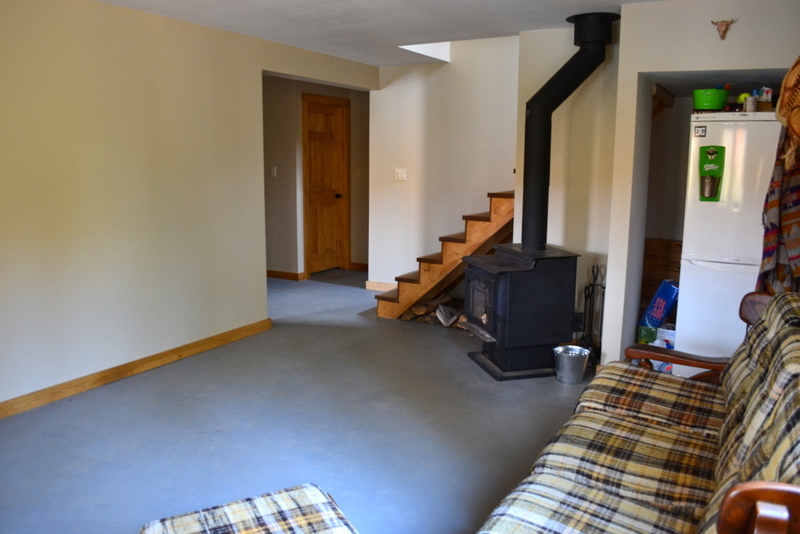 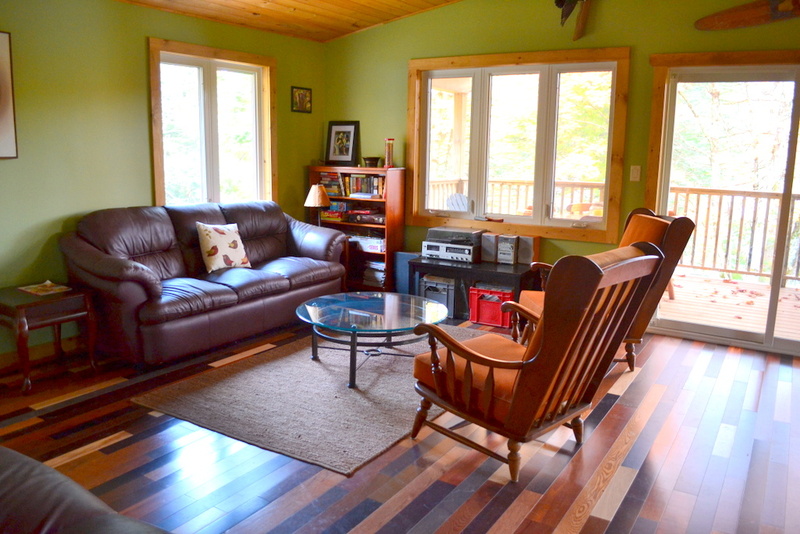 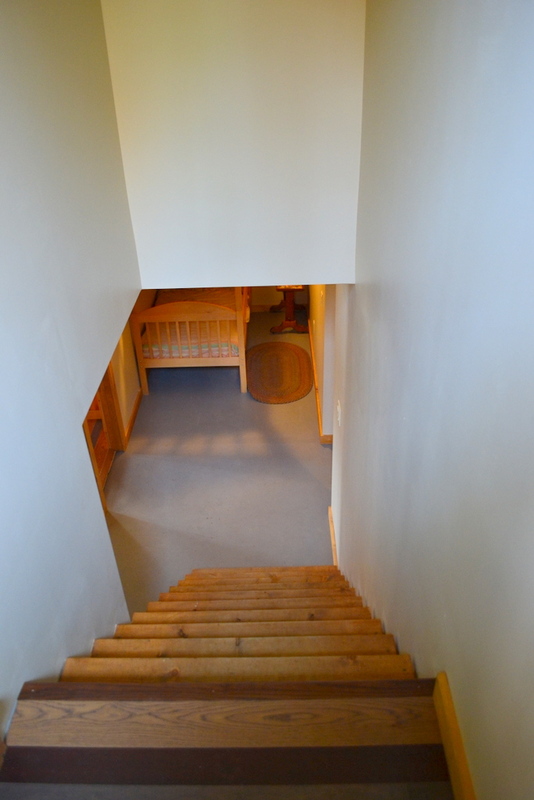 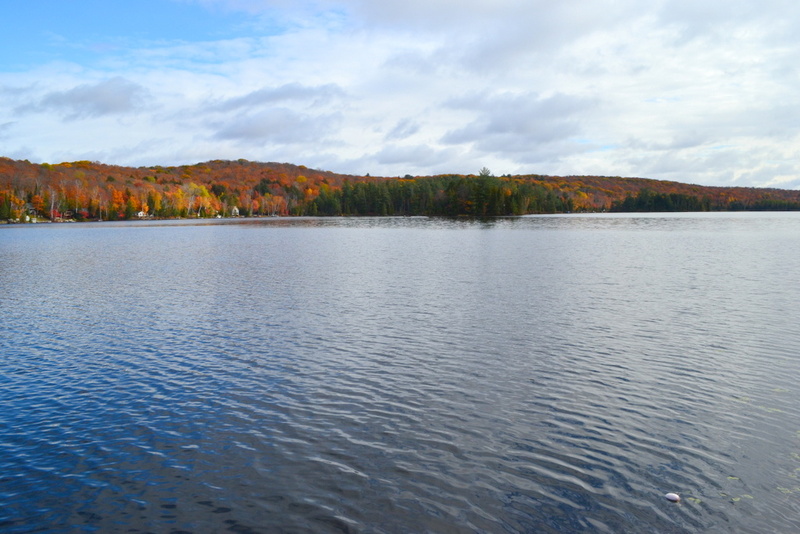 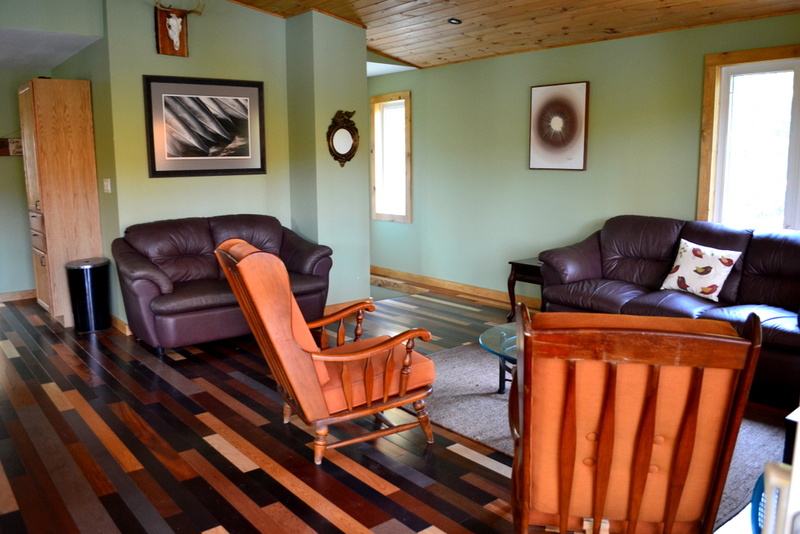 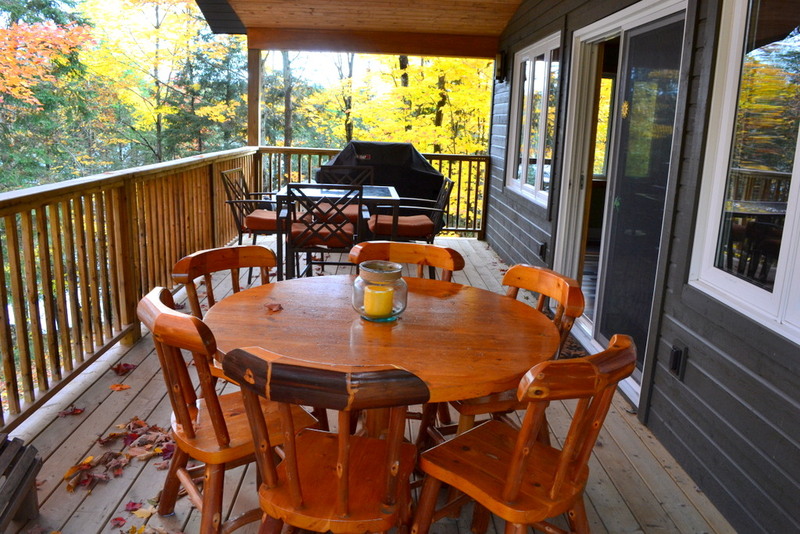 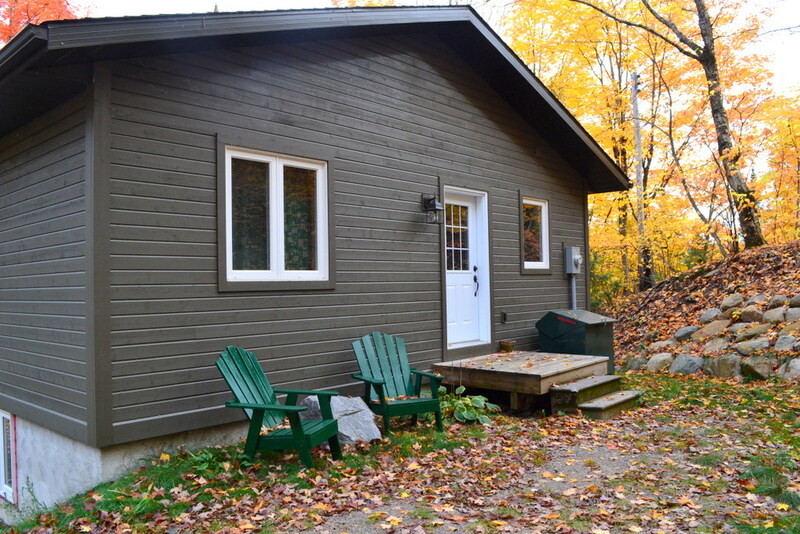 LOCATION: 20 minutes north east of Huntsville for most all amenities, 10 minutes to Arrowhead Provincial Park, close to world class golfing, snowmobile trails, shopping and dining. 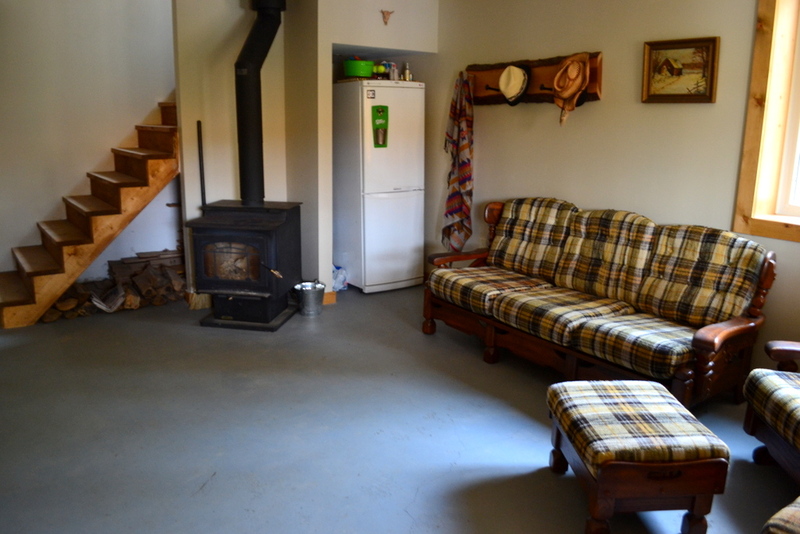 One pet allowed upon approval of owner, no smoking, maximum number of occupants is 8, bring own linens and towels, bring own drinking water, noise restriction after 11 p.m.